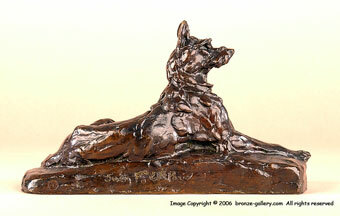 Fiot did a number of dog sculptures in the early 1900s and focused on the popular breeds at the time. This bronze is a fine model of a reclining Wolfhound. It could be a type of French sheepdog like a Briard or a Beauceron, but most references call this dog a Wolfhound. The Wolfhound is lying down, relaxed but alert, perhaps waiting for his master. 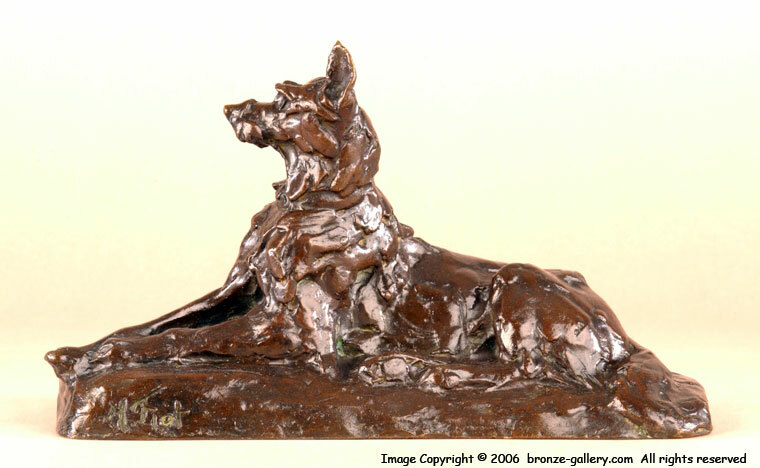 This is a lost wax cast by Susse Freres foundry with their seal and a rich dark brown patina.